Smooth, radiant skin doesn’t always come naturally, and that’s where a gentle exfoliating scrub comes in. 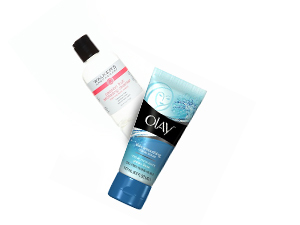 Try Olay Skin Smoothing Cream Scrub, $5.99. It helps slough off dead skin cells, revealing your naturally gorgeous skin underneath. A cleanser with glycolic and lactic acid like Walker’s Apothecary Passion Fruit Exfoliating Cleanser, $18 will “also lighten dark spots,” says Shalea Walker, esthetician and founder of Walker’s Apothecary.